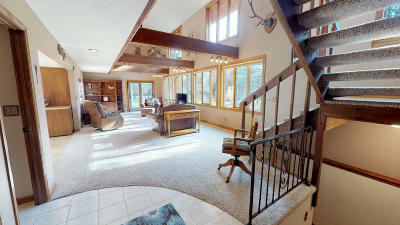 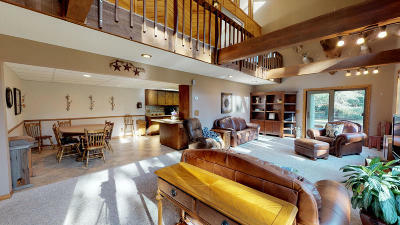 4 bedrooms, 3 bath, 3254 sq ft Move In Ready, Family home in the Evergreens. 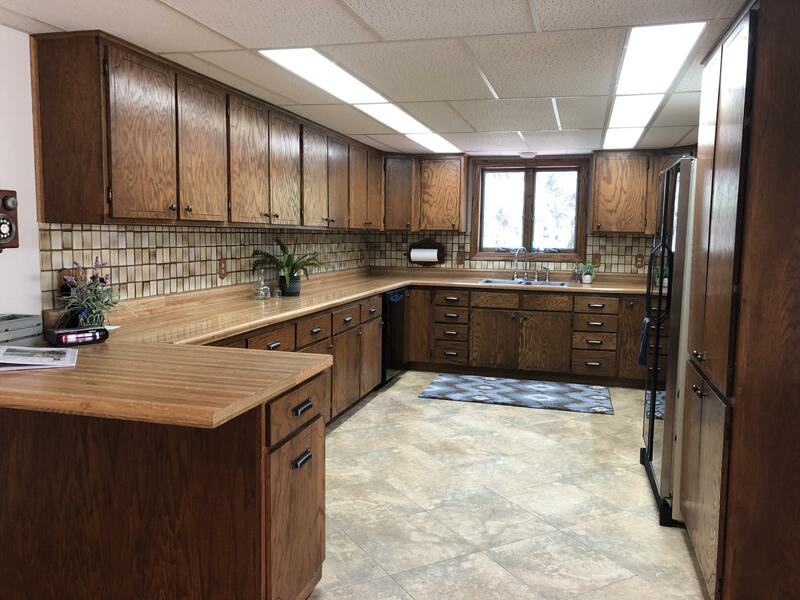 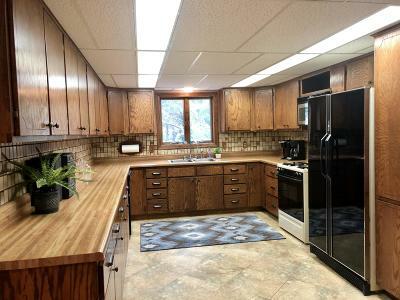 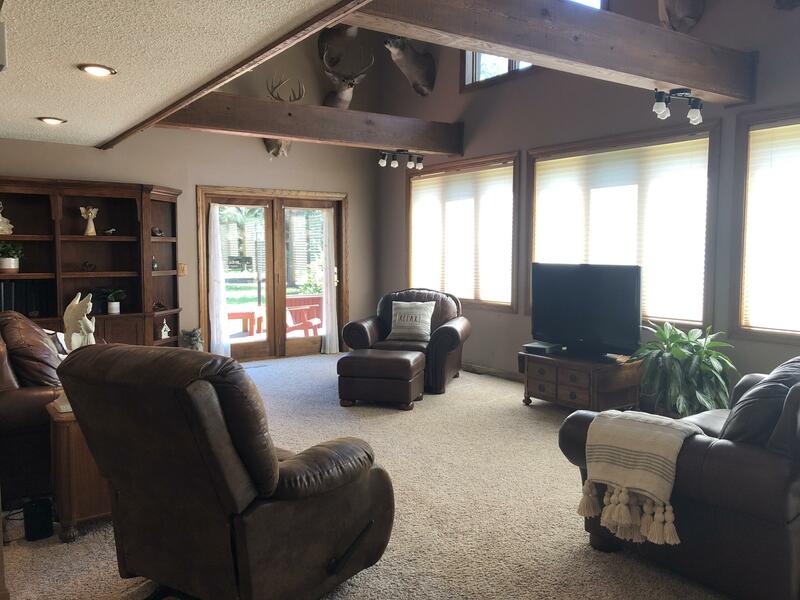 Exceptional 2.27 private and peaceful acres with mature trees in northeast Bismarck, just minutes from schools, banking, shopping, with easy access to I-94. 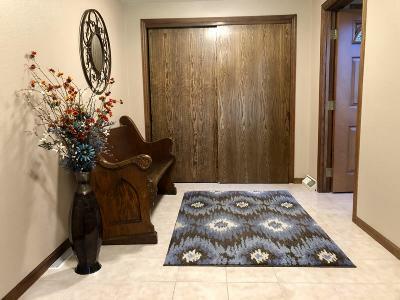 Entry into the main floor is a separate foyer with plenty of room for coat and shoe storage. The expansive living room has exposed beams, vaulted ceiling and double-story, south-facing windows for abundant natural light. The kitchen has extensive storage, moveable kitchen island, and a large expanse of counter space. Main floor laundry is conveniently located. 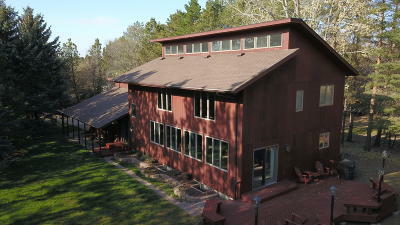 A finished 600 sq ft raised deck extends the living space into the outdoors and is great for entertaining. 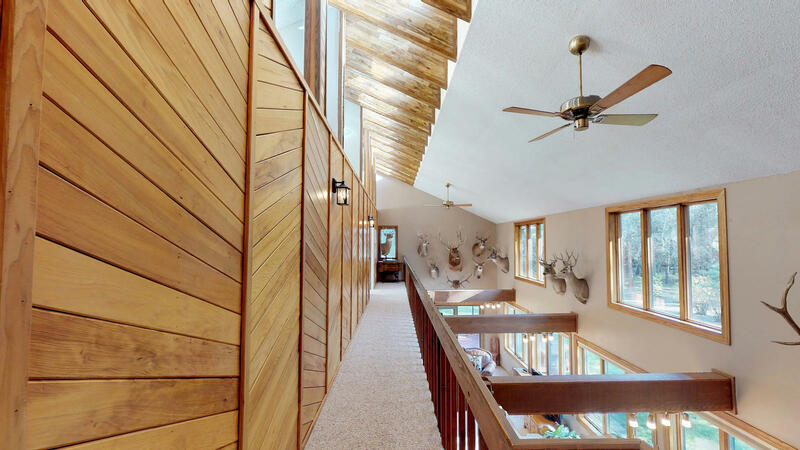 The windows and exterior eaves create passive solar heating and cooling, keeping the home warm in the winter and cool in the summer. 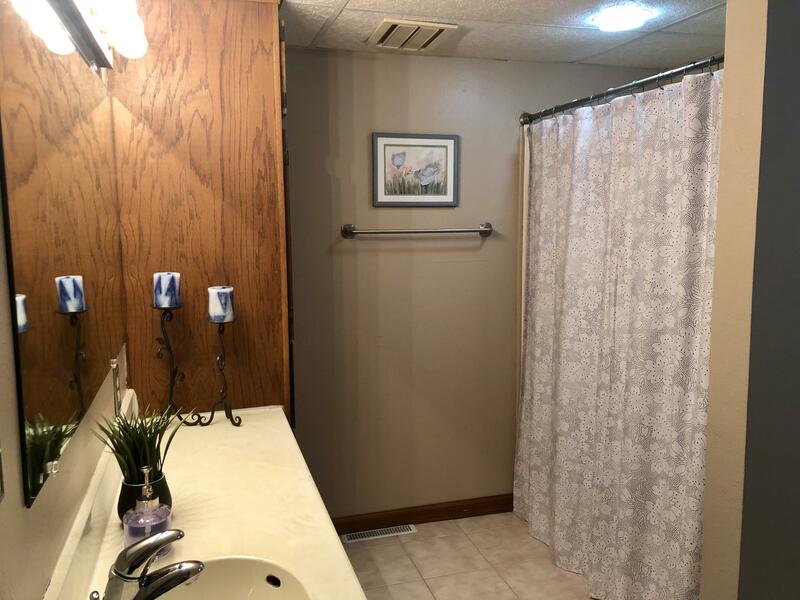 Newer propane forced air furnace, central air and water heater systems. 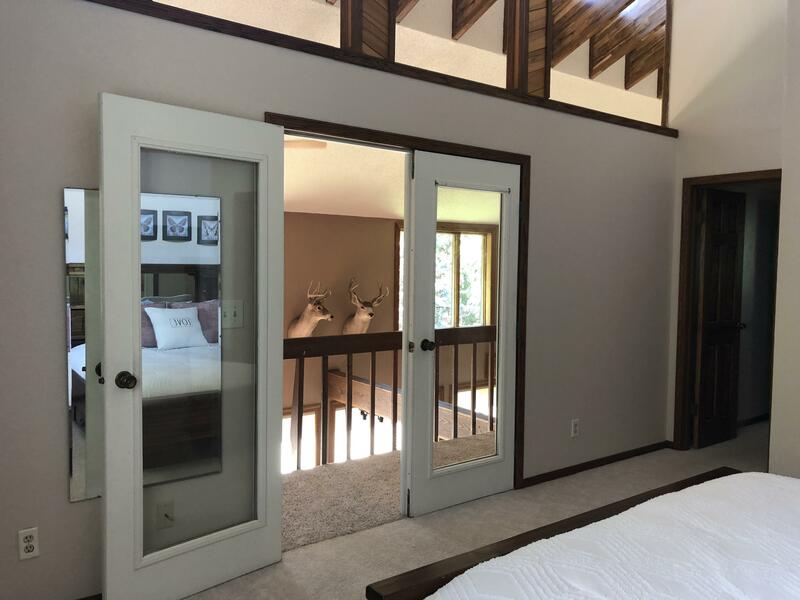 Optional natural gas hook up is available. 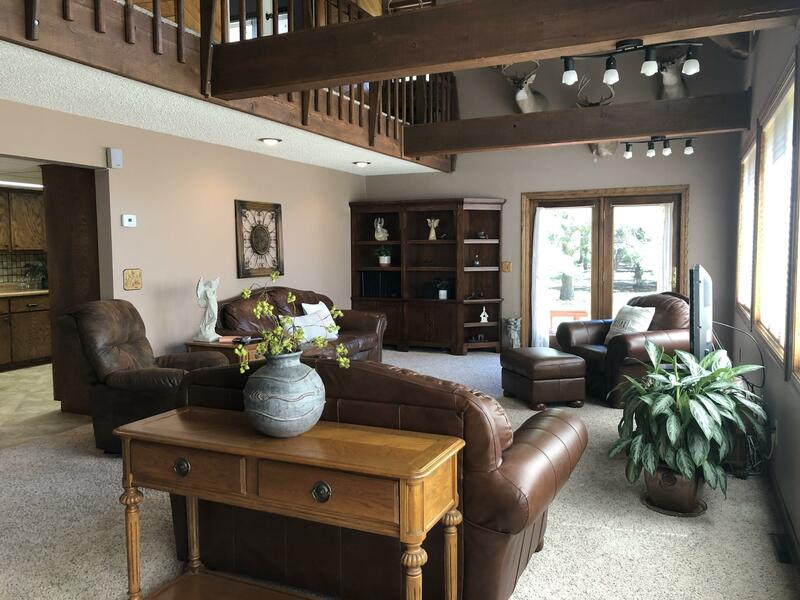 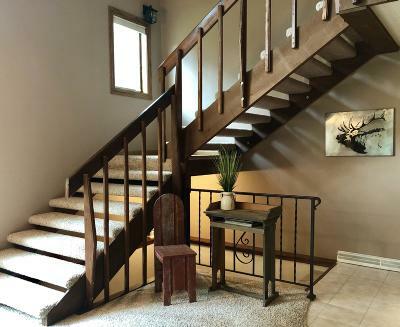 An extra-wide, open staircase leads to the upper level with the master suite and additional bedroom or office space, and a full-length balcony overlooking the open living room. 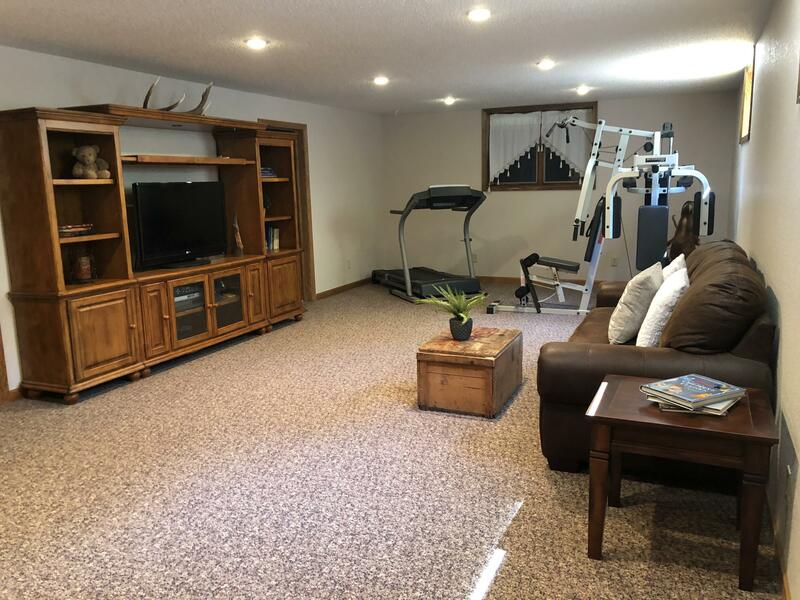 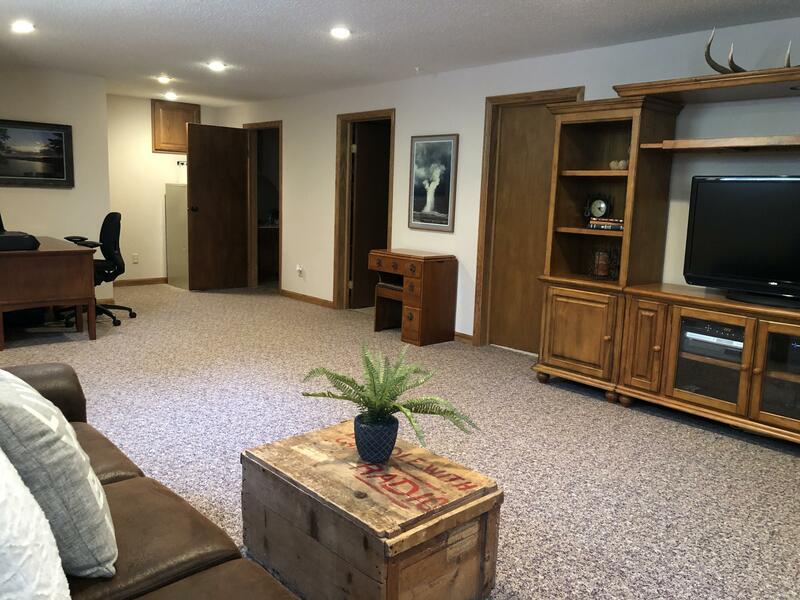 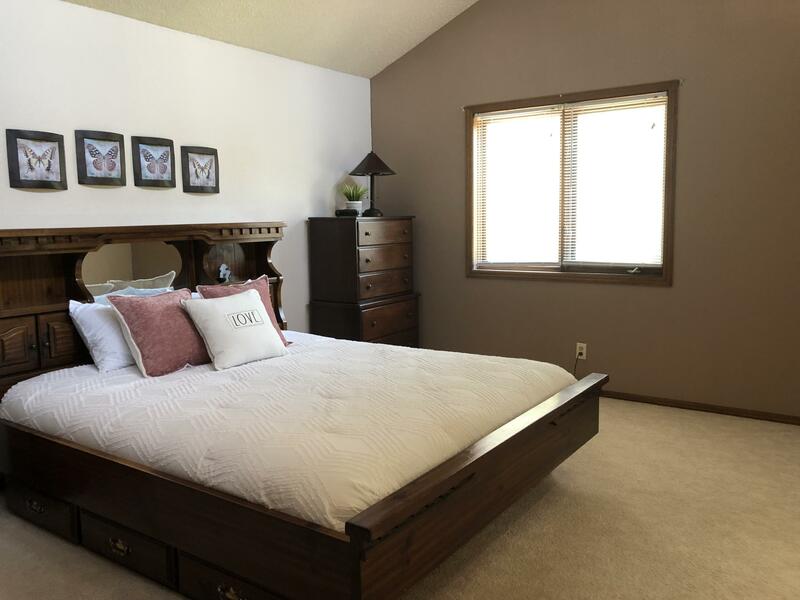 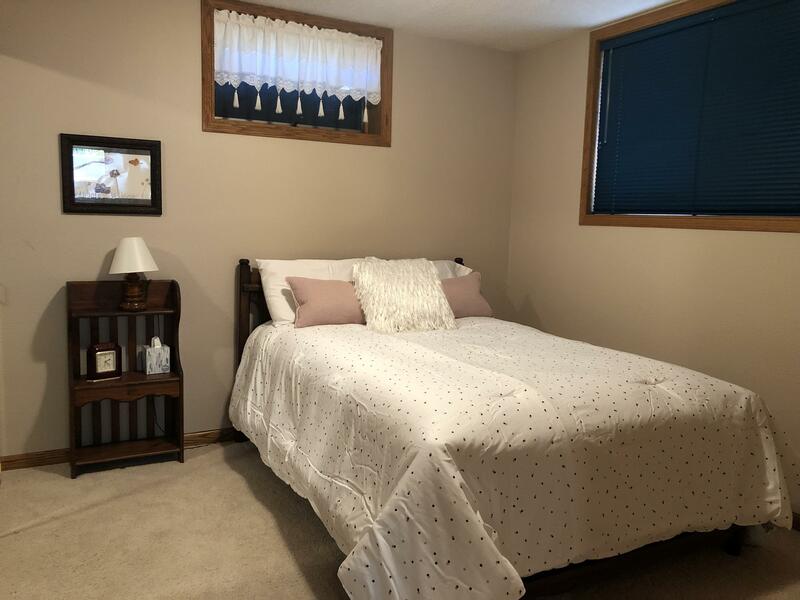 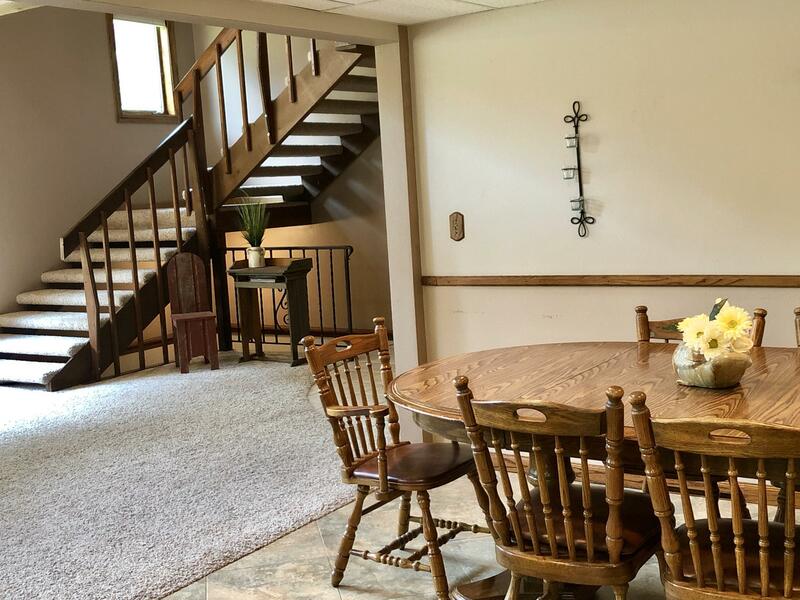 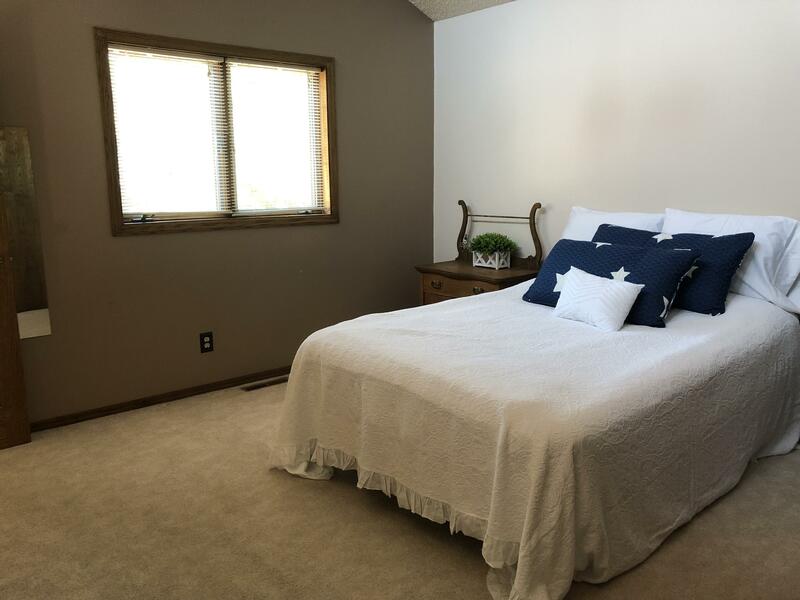 Downstairs is a full basement with large bonus room, big enough for workout space, entertainment space and play space, as well as, two bedrooms and a 3/4 bath. 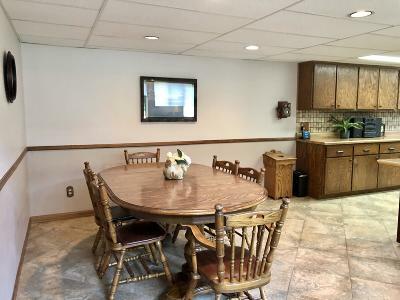 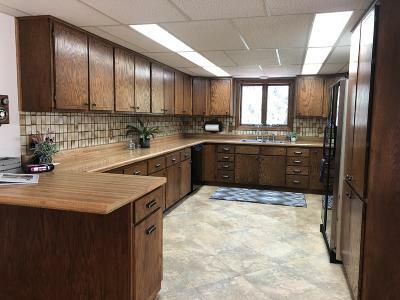 Three car garage with workbench, cabinets, kennel and high ceiling for additional storage. 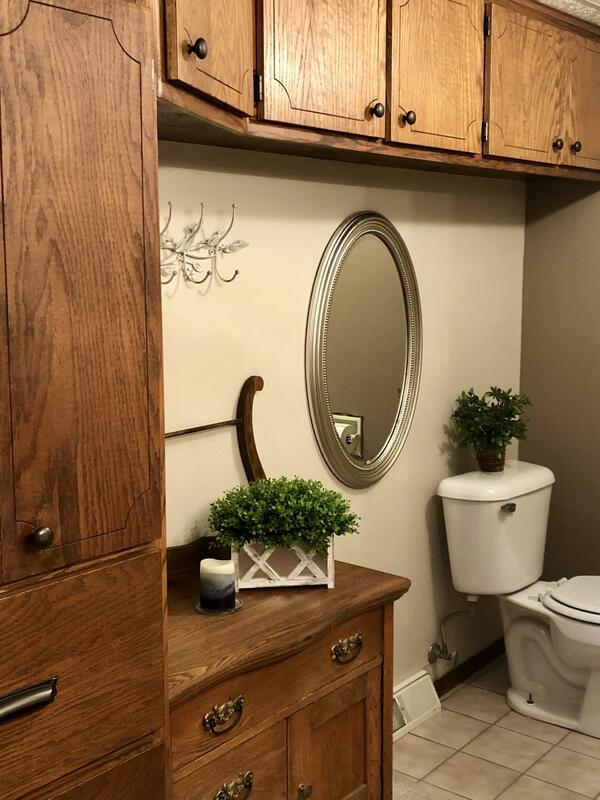 Store your yard tools in the 10x12 shed.